This February, Image Comics is proud to announce the digital release of MORIARTY: ENDGAME, the new short story by the original MORIARTY team writer Daniel Corey, artist Anthony Diecidue, and letterer Dave Lanphear. Originally published as a bonus story in Image Comics’ RED CITY Vol. I, MORIARTY: ENDGAME will be released as a standalone, 99-cent download on February 4. 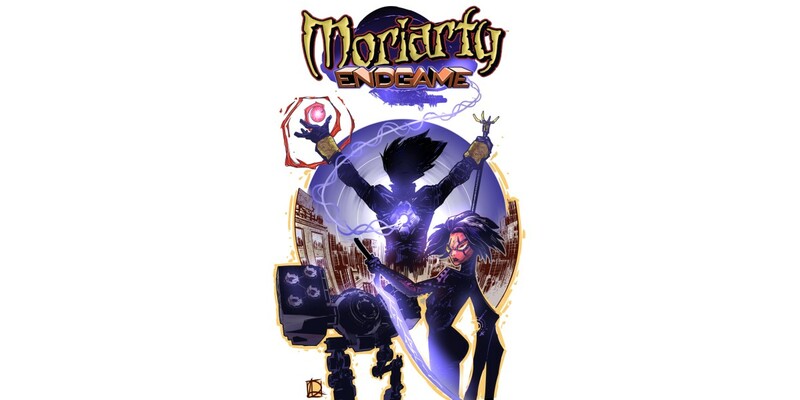 MORIARTY: ENDGAME plays with the idea that the myth of Holmes and his nemesis is eternal, and transplants their conflict into a tech-laden, post-apocalyptic future. With the world as their playground, the never-ending conflict between detective and villain will finally come to a moment of reckoning. MORIARTY: ENDGAME, a 15-page digital comic, will be on sale at ImageComics.com, ComiXology, iBooks, and Google Play for $.99 on February 4. For more information, please visit dangerkatt.com and facebook.com/moriartycomic. "To me, the book is what I imagine Kubrick's take on Holmes lore might be..."